OxiClean HD Laundry Detergent 75% Off at Rite Aid! Here is an awesome deal that you can score this week! 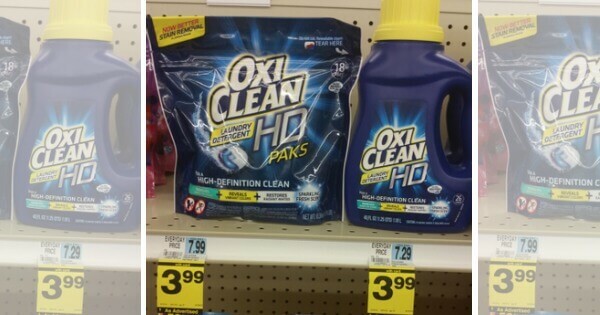 Now through 5/21, Rite Aid has the OxiClean HD Laundry Detergent Liquid and Paks on sale for $3.99. We will be able to score these for just $1.99 after coupon, thats a 75% savings on the OxiClean HD Laundry Paks! FREE Listerine Floss & Oral-B Indicator Toothbrushes at Stop & Shop!